This beautifully remodeled, one bedroom Snowcrest Condominium is across the street from three lifts at the base of Park City Mountain Ski Resort. Views of the mountains and ski resort from the living room are spectacular. After skiing, enjoy a swim in the heated pool and relax in the fourteen-person hot tub. A real wood-burning fireplace will help you unwind after a long, hard day outdoors. You will be located within easy walking distance from the base of the PC ski area. The free shuttle bus stops across the street, allowing easy access to Main Street in Old Town and all it's shops and restaurants, grocery shopping and the Deer Valley and Canyons Ski Areas. Wireless internet access is included. Whether you are taking a winter vacation to experience the legendary Utah powder, or enjoying our gorgeous summers on foot or on mountain bike, Park City will give you a vacation you will always remember!! Information: $300 REFUNDABLE security deposit required, 1st night + tax + security to reserve, remainder due 45 days before arrival. I had a great stay and enjoyed the condo. Kitty and Glen are great, very easy to work with and very responsive. Easy access to the ski area and great view. Couldn't have asked for anything better. What a wonderful location and perfectly presented "condo". Communication with Kitty was excellent which put my mind at ease as I was communicating and booking from Australia. Not knowing Park City at all, I trusted Kitty's advice and so glad I did. The condo is directly across from the Park City car park (Eagle/First timers chair and ticket office) and an easy walk, but even better - a short (free) bus commute to the main resort plaza area. Fabulous views across the front of the mountain. Snow Crest is also wonderfully located, with a supermarket a short walk away (Tip - take your suitcase on wheels when shopping if you don't have a car - easy to load your shopping and wheel home!!) Then if you want restaurants, bars and quaint shopping its just a short bus trip to Main street, but even nicer to stretch ones legs for a fifteen minute walk (tops) to Main Street. The "condo" was impeccably clean and comfortably furnished with lovely decor and a well equipped kitchen which was a Godsend after a days skiing too exhausted to go out for dinner. Importantly, the master bed was extremely comfortable as was the pull out sofa bed. And what a bonus having a log fire! A real snow experience! Then to top it off we really enjoyed the outdoor heated pool and spa (hot tub). I was travelling with a friend and we have both only skied in Australia - so glad Vail has bought Perisher as it gave us the opportunity to use our Freedom (Epic) pass at Park City. So I highly recommend anyone (especially other Aussies) to contact Kitty and book her apartment. Nothing was a bother, full of great advice and tips. Will definitely be coming back next year and might even make it during the summer as well - Kitty has sold us on all the summer activities the area has to offer as well. Plan to recommend the place to all our friends, as long as you always book us in first Kitty! The condo was nice and very conveniently located. This was our first trip to Park City, so we had no idea what to expect. The walk from the condo to the ski area is several blocks. We just took our gear the first day and then checked our skis with the ski valet and our boots downstairs in the resort shop. So easy walk back and forth. You can also walk just to the end of the parking lot and catch a bus which will deliver you right to the lifts. Kitty was very sweet and made sure the condo was nice for us. She also went out of her way to help us with a coat we wanted to leave behind. Condo had everything we needed, but we ate out so we didn't really check into the cabinets much. There is a community hot tub and heated pool. We did sit out there one night and it was nice. It was within walking distance to a grocery store and to main street, but you can always take a bus. The walk to main street was pretty long, but if you like to walk it wasn't bad. Overall a nice condo, very well located. This Snowcrest condo met the needs perfectly for our family of 4! 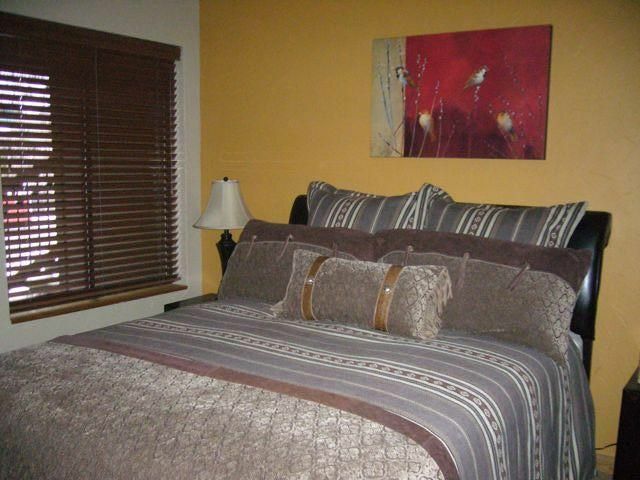 It is cute, cozy, and clean, and the complex is nice with a large heated pool & hot tub. The kitchen is stocked with everything we needed which was really nice so we didn't have to eat out every meal. The absolute best thing about the condo is it's prime location and proximity to Park City Mountain Resort. We stayed at The Canyons the year before, so this was our first time to ski Park City and we loved that we could walk there from the condo and not have to deal with parking at the resort. Kitty was very responsive with communications throughout our booking, arrival, and stay. Would definitely recommend this place, and we hope to return next year! Kitty was extremely professional and kind. The space is cozy, and was a wonderful place to live in a perfect location. I was really happy with my stay! This condo is clean, comfy, and conveniently located. The condo is in great condition with everything updated and well-furnished. All the furniture is comfortable and the wood fireplace is wonderful. The condo is close to everything and has a great view. It's a great all-around place! *PRICING SUBJECT TO CHANGE AT ANY TIME* seasonal rates do not include 14.5% tax/processing fees, $100 reservation/cleaning fee, or the $500 refundable security fee. Rates ARE negotiable to a reasonable point.